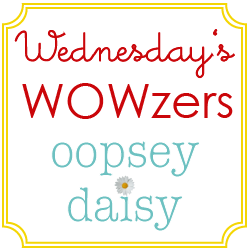 Wednesday’s Wowzers: All About Turkey Day! 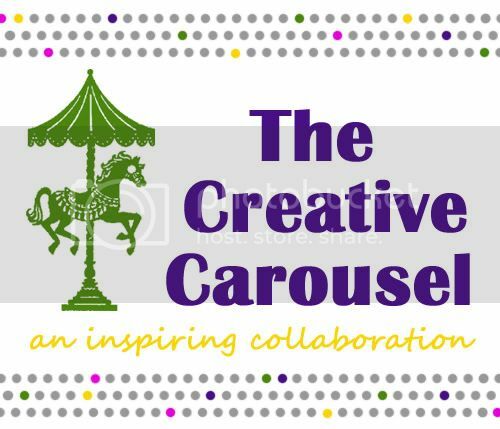 You are here: Home / Thanksgiving / Wednesday’s Wowzers: All About Turkey Day! This is the season of gratitude. I am so grateful for the 100+ first graders who changed my life over the years. They taught me so much, but most importantly they really taught me about being a mother. What happy memories this brought to mind! Today let's give Thanksgiving its due credit! 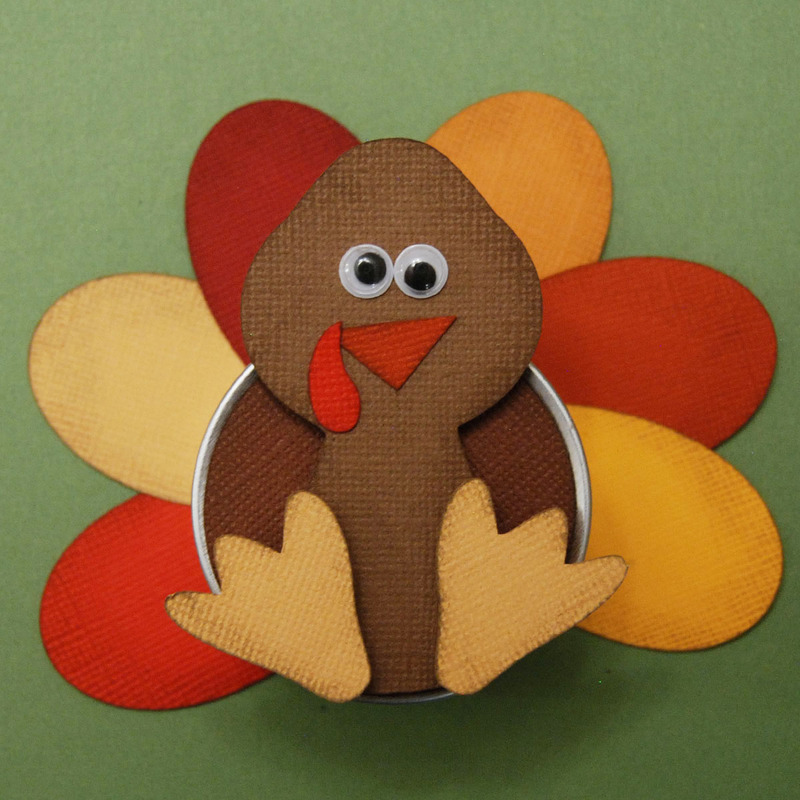 This edition of Wednesday's Wowzers is 100% decorated to Thanksgiving ideas. There are oodles of fab ideas on this Thanksgiving table for kids at anna and blue paperie. 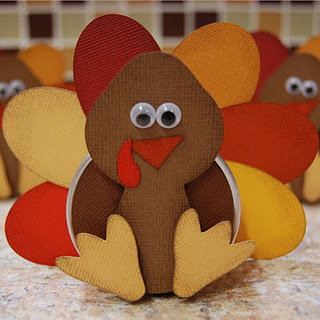 Be sure to check out the yummy turkeys using pirouette cookies! YUM! I need to get my pumpkins out again! 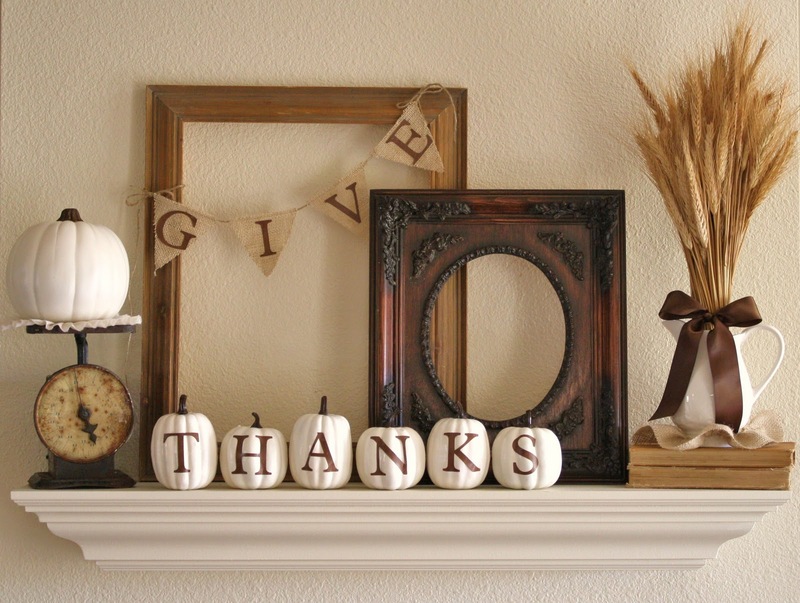 I adore this mantel! The "Give" and "Thanks" are so clever. Go check out A Diamond In the Stuff for all of the details. 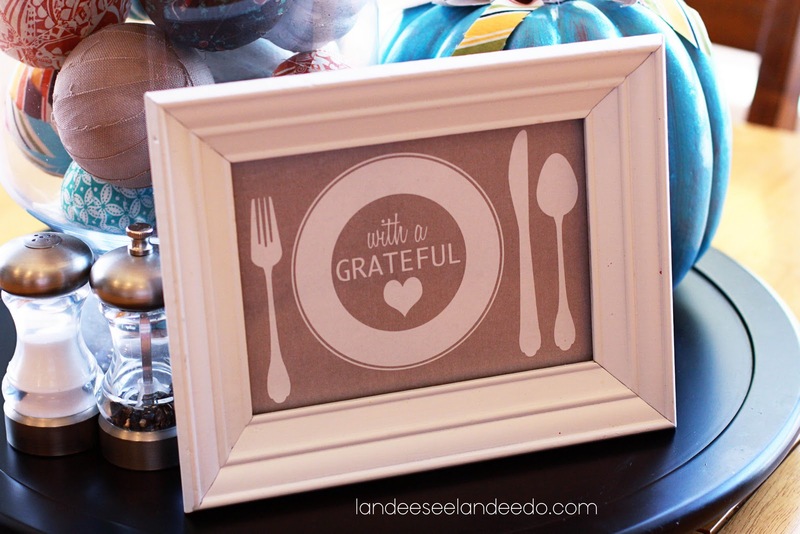 This "With a Grateful Heart" printable would make a lovely addition to any Thanksgiving table. Go print your own from Landee See, Landee Do. That Kierste from Brown Paper Packages is so clever!! These mini pumpkin place cards are the perfect touch for a Thanksgiving plate! Love everything about this entire display at The Crafting Chicks!!! 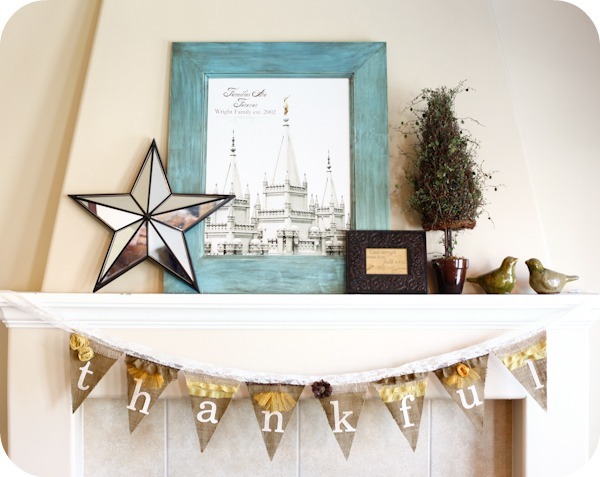 But this thankful banner is darling! I love all of those embellishments! Aren't these turkey tins fun?! Imagine them filled with goodies. 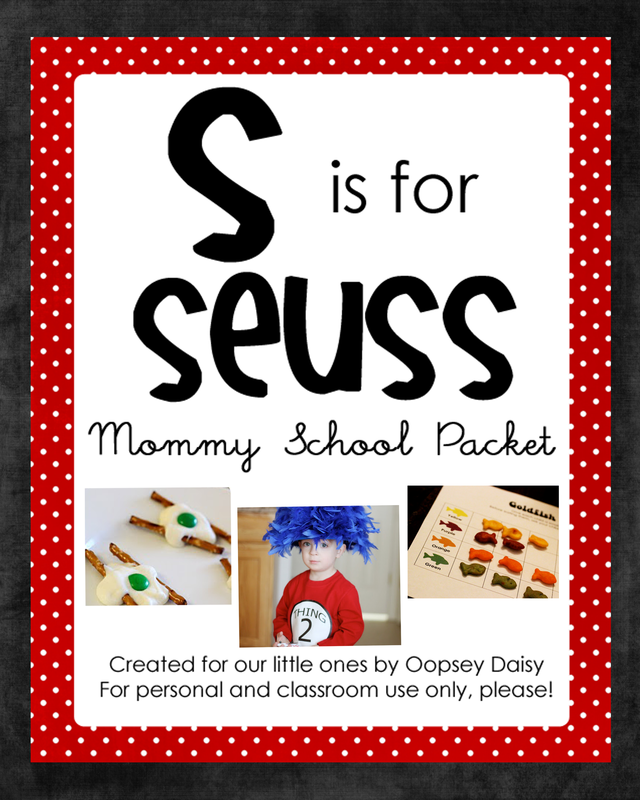 I want one of these cute favors from Burton Avenue! 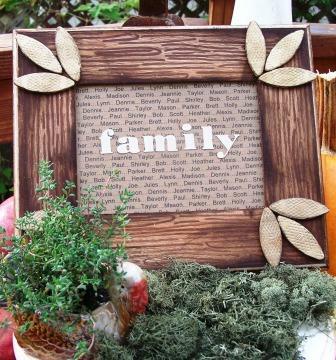 Holly from 504 Main created this family Thanksgiving frame. Don't you love the metallic feathers in the corners?! I am loving metallics this fall! What are some of your favorite Thanksgiving ideas this year? And are you READY for Thanksgiving this year?? Love that your former student wrote you a letter!! What a sweet letter to receive!! What a sweet letter! There aren’t many 6th graders that would even think about writing a letter like that. I love all your Thanksgiving ideas, especially the mantle and the kids table. LOVE the tablescape…..beautiful, yet family friendly. Great wowzers!! 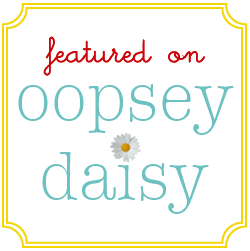 Thanks for the feature, Alison! I love the other features as well! A good teacher makes such a difference. My 5th grader still visits his 1st grade teacher every day and adores her.